CARBWATCHERS LEAN BODY high protein meal replacement shake is the convenient, reduced-carb nutrition solution for athletes who want to support fat burning while supporting lean muscle tissue. * If you have little time to prepare meals, CARBWATCHERS LEAN BODY is for you. Each packet of CARBWATCHERS LEAN BODY provides 40g of LeanPro protein, and just 12g of low glycemic, high fiber carbs, plus 21 vitamins & minerals. No maltodextrin, aspartame, artificial colors, trans fat, or preservatives. Each serving of CARBWATCHERS® LEAN BODY® contains 40 grams of LABRADA®'s exclusive, high-quality protein blend – LeanPro®. CARBWATCHERS® LEAN BODY®tastes incredible. The American Culinary Institute has awarded LEAN BODY® its GOLD MEDAL TASTE AWARD. 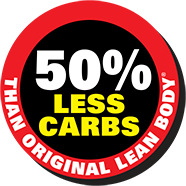 For carb-conscious athletes CARBWATCHERS® LEAN BODY® has 50% fewer carbs than our original LEAN BODY® formula. Contains Milk, Soy (lecithin). Note: Soy lecithin helps the CarbWatchers® Lean Body® powder to dissolve in water. As a nutritional supplement, replace 1 daily meal with a packet. Use 10 oz. of water or your favorite beverage. 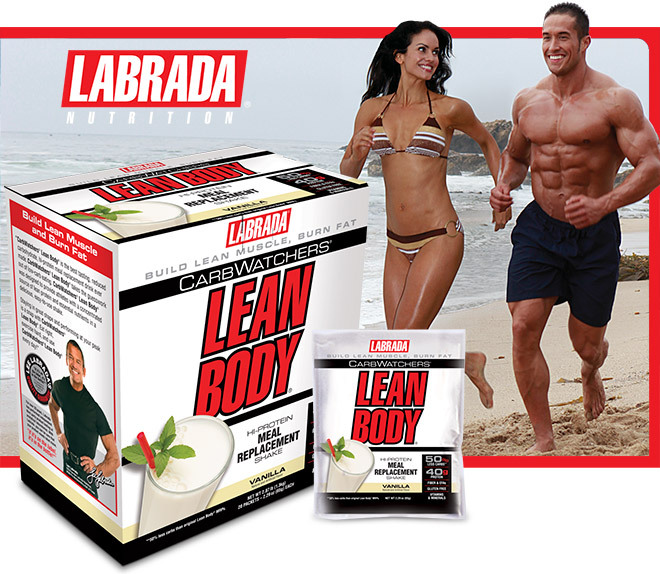 Add 1 packet (65g) of CarbWatchers® Lean Body® and mix in a blender or shaker.